Amanda is a PhD student in the Department of Molecular Genetics at the University of Toronto. Amanda is currently working in Dr. Julie Claycomb’s lab examining the essential Argonaute CSR-1 in the mighty nematode C. elegans. She believes the RNA community is spectacular, especially because of it’s diversity. She believes collaboration is an essential part of moving science forward, and is excited to help organize TREnD as an opportunity for labs in the region to learn from one another. Lauren is a Ph.D. candidate in Dr. Karim Mekhail’s lab at U of T. Lauren’s M.Sc. work involved characterizing the functional role of an endogenous natural antisense transcript in the regulation of Ustilago maydis teliospore dormancy. Her current Ph.D. research focuses on modelling neurodegenerative disease-linked mutations to RNA-binding proteins in budding yeast. She has a passion for the study of non-coding RNA biology, and is excited to help facilitate discussions and collaborations amongst fellow RNA enthusiasts at TREnD. Matthew is a post-doctoral fellow in Dr. James Ellis’s lab at Sickkids. His graduate work revolved around the RNA binding protein DEAD box 1 and its role in early mouse development with Dr. Roseline Godbout at the University of Alberta. Now he studies post-transcriptional regulation in induced pluripotent stem cells as they are differentiated into neurons. Matthew joined the TREnD organizing committee to continue connecting with RNA focused researchers and assist with building a strong RNA research community. Sameen is a first year MSc student in the Department of Molecular Genetics at the University of Toronto. Her interest in RNA sparked as an undergraduate co-op student, while investigating the role of microRNAs in skeletal muscle development. As part of the TREnD organizing committee, Sameen is excited to be involved in creating a space for members of the RNA community to share their science and enthusiasm! I am a graduate student in the department of Cell and Systems Biology in John Calarco’s lab at the University of Toronto. I am currently studying the tissue- and species-specific alternative splicing in C. elegans. 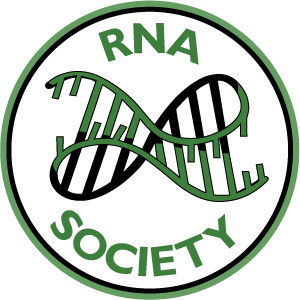 I joined TREnD to learn more about RNA and to help build and stronger and more diverse RNA community in Toronto. Marat is a Ph.D student in Dr. James Ellis lab in the Department of Molecular Genetics at the University of Toronto. Marat’s graduate work focuses on the regulation of mRNA translation and stability during human neurodevelopment. His current tool of choice – a laptop – makes him clearly understand the importance of collaborations. He is excited to join the TREnD organizing committee to help RNA focused researchers connect and push the frontiers of a science together. Francine is a Masters student in the Department of Cellular and Systems Biology at the University of Toronto. Francine is currently working in Dr. John Calarco’s lab studying mechanisms that may contribute to and govern the dauer pathway in C. elegans. Francine is excited to be part of TREnD this year to learn more about the diverse RNA community and its recent developments. Akashdeep is a MSc. Student in the Department of Molecular Genetics at the University of Toronto. During rotations, Akashdeep had the pleasure of working in Dr. Julie Claycomb’s laboratory where he became acquainted with the RNA community. He looks forward to continuing his involvement, learning, and collaborating, as he begins and ventures forward through graduate studies. Julie Claycomb is an Associate Professor in the Molecular Genetics Department at the University of Toronto. Work in the Claycomb lab focuses on understanding the mechanisms of germline small RNA pathways using the nematode C. elegans as a model system. John Calarco is an Assistant Professor in the Cell and Systems Biology Department at the University of Toronto. His research focuses on understanding mechanisms governing post-transcriptional gene regulation in the nervous system, with a particular focus on alternative splicing. John is excited to be serving as a faculty mentor for TREnD.